The Don't Bother Travel Guide: 101 Places Not To Go The Seattle Gum Wall, the Montana Testicle Festival, and the entire state of Nevada are just a few of the non-destinations Catherine Price lists in her anti-travel guide, 101 Places Not To See Before You Die. Price takes it upon herself to go to terrible tourist destinations ... so you don't have to. The Taj Mahal, the Great Wall of China and the pyramids in Egypt are all likely candidates for a traveler's Must-See-Before-I-Die list. 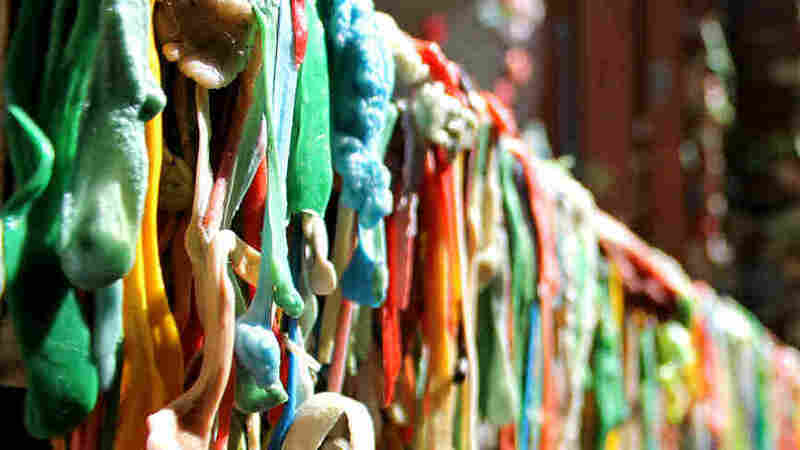 The Seattle Gum Wall, the Beijing Museum of Tap Water and the Montana "Testicle Festival"? Not so much. 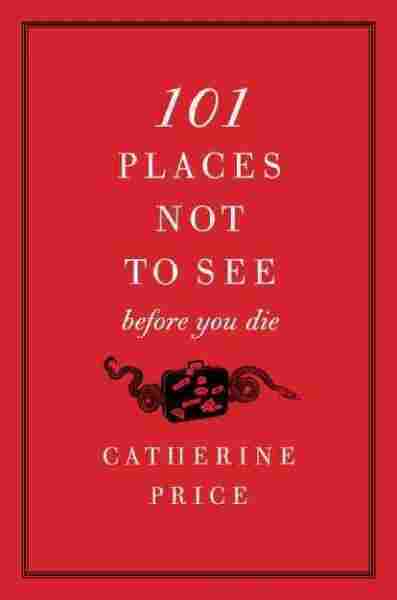 These are just a few of the un-recommended destinations you'll read about in Catherine Price's 101 Places Not to See Before You Die. In this anti-travel guide of sorts, Price takes it upon herself to go to terrible tourist destinations ... so you don't have to. She takes a break from her travels in Turin, Italy, to talk with NPR's Renee Montagne about some of the places that can safely be crossed off your bucket list. There are a number of skippable destinations that can be generally categorized as "odd places to sleep," and this prison turned hotel in Latvia easily falls onto that list. "It's not like they took the prison and tried to like spice it up and turn it into a luxury resort," Price explains -- it really looks like a prison. The hotel boasts that 150 people were shot there. "Ever since the first years of its existence it has been a place to break people's lives and suppress their free will," the hotel's website explains. "Guests" of the prison sleep on iron beds or prison bunks. For an extra-special occasion, you can arrange to be abducted at your workplace and delivered to the hotel. "They walk the fine line," Price says, "between places you genuinely wouldn't want to see ... but also places that are kind of interesting." She says several of the entries in the book fall under that category -- destinations you experience just for the good story afterward. 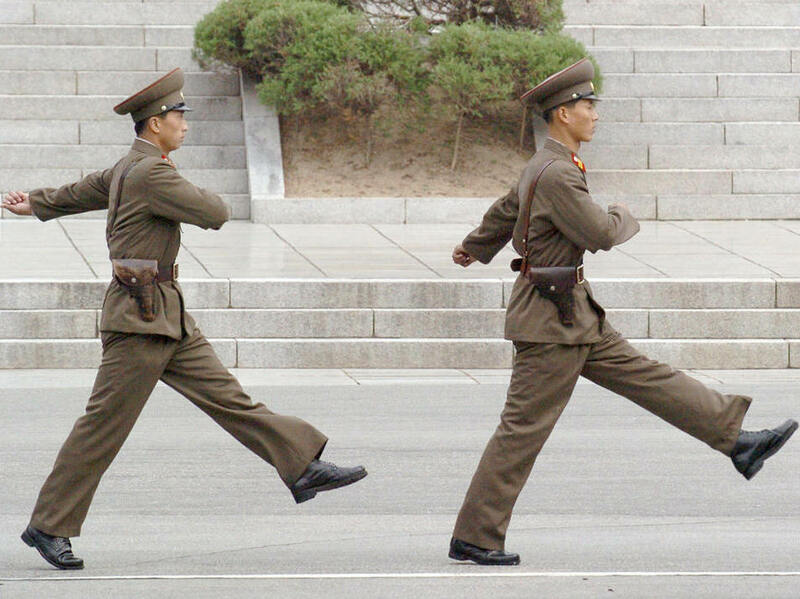 North Korean soldiers march near the demilitarized zone that separates North Korea and South Korea. While working on a project in Korea, Price had the opportunity to visit the DMZ. She expected it to be a "Berlin Wall-type thing" and was surprised to find "it's actually more of a sidewalk curb" with North Korea on one side and South Korea on the other with "soldiers on either side just staring at each other." The tunnel is an organized tourist attraction -- visitors are told to store their personal items in cubbies, don helmets and step onto a little train. Price says she was "lulled into complacency because it kind of seems like a Disneyland ride." But that didn't last long. "All of a sudden, with no explanation, they take you down into this narrow, claustrophobic tunnel blasted into solid rock." Lest you mistakenly think the tunnel was designed with an invasion in mind ... think again! 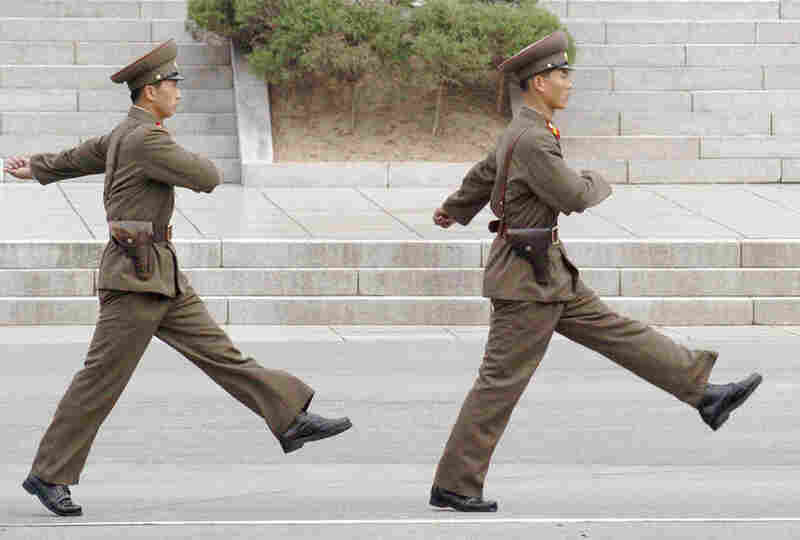 North Korea insists it's just a coalmine. In 2001, Price says, an edict was issued that required Beijing to open 150 new museums by 2008. 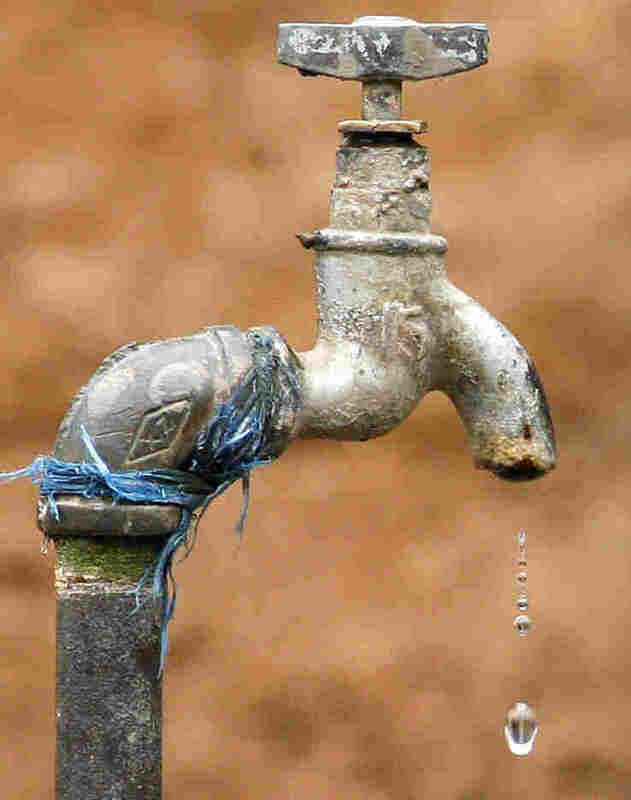 Hence a museum devoted to the fascinating history of ... tap water. The museum is full of artifacts from the early days of Bejing's tap water system, which dates back to 1908. On display are coupons that people brought to water stations to receive water, and stethoscopes that were used to detect leaks in the pipes. The irony of the whole museum, Price says, "is that Beijing's water is not safe to drink from the tap." 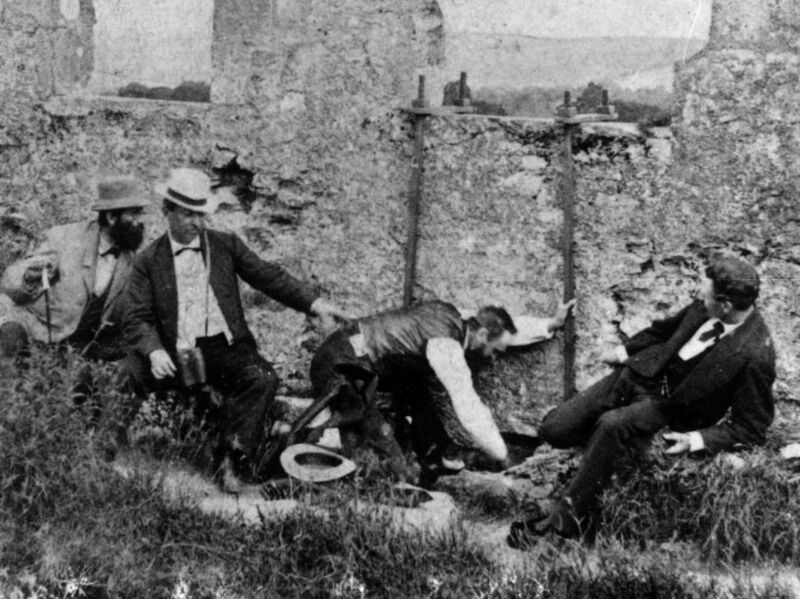 A group of men attempt to kiss the Blarney Stone at Blarney Castle in Ireland, circa 1880. Price isn't buying it. "When I hear about a destination whose main attraction is giving you the chance to kiss a piece of stone that's been kissed by hundreds of thousands of people, that is not something that I personally need to do," she says. 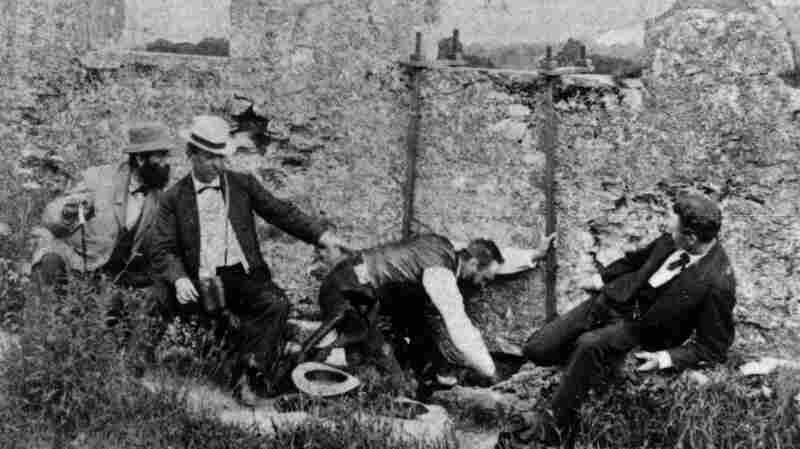 Needless to say, representatives from Blarney Castle's tourist department were none too happy to find out the stone was on Price's list of places not to visit before she dies. "I actually had a very sweet exchange with the woman in charge of the marketing for the castle," Price says. "And she would like [everyone] to know that you can actually request a special cleaning of the stone before you kiss it, if you would like." 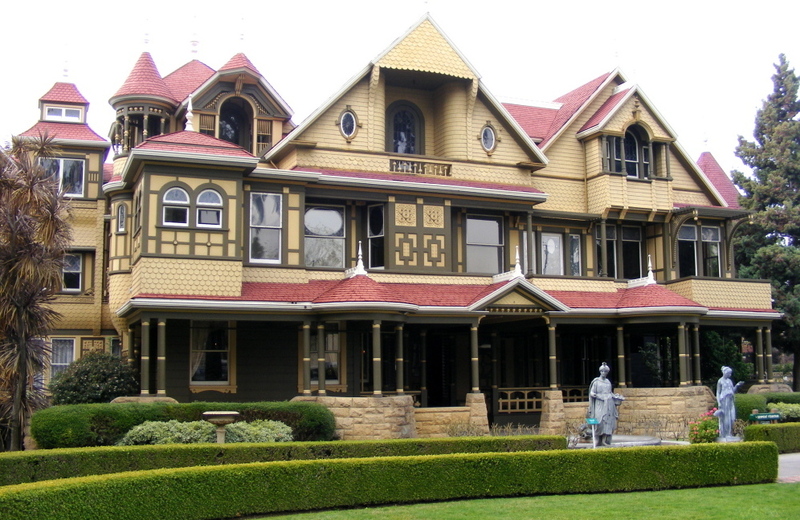 Winchester Mystery House, San Jose, Calif. 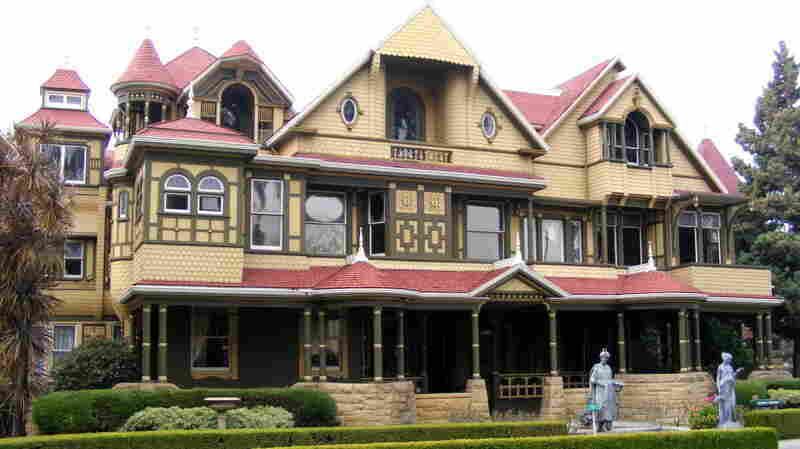 The giant house in downtown San Jose was built by Sarah Winchester, heiress to the Winchester gun company. The story goes something like this: Grieving the untimely deaths of both her husband and her daughter, Winchester sought counsel from a psychic, who told her that her family members had been murdered by the souls of people killed by Winchester guns. The psychic told Winchester to move west and build a house for these angry spirits -- and that as long as she kept adding on to the home, the spirits would not kill her, too. With millions of dollars to burn, Winchester built for decades, 24 hours a day, seven days a week, Price explains. The result is a sprawling, 160-room mansion -- a maze of dozens of hallways, chimneys and stairways leading nowhere. Price says she showed up with the "expectation that somehow it was going to be interesting" but ultimately was disappointed. "The truth is that we don't know for sure if that story is true. There's no furniture in the house, it's just ... basically empty rooms." She says she left the house feeling the way she does after a "binge on fast food -- like I'm really full and also completely empty." 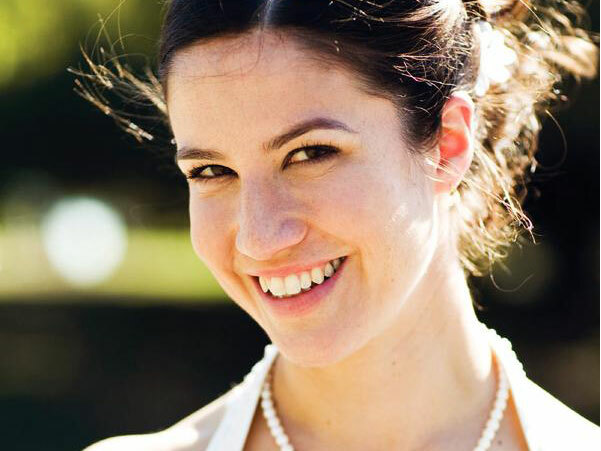 Catherine Price is currently traveling the world with her husband -- you can follow her adventures on her blog. Price has continued her travels through Europe and Asia and still frequently comes across destinations ... that aren't -- such as the Museum of Anatomy in Turin. With its dried-out body parts and fingers preserved in formaldehyde, the museum is not something Price felt she really "need to do" on a hot Turin afternoon. But the creepiest part is that the museum is lorded over by the skeleton of its founder. Price explains: "He left a note in his will saying, 'I don't want to be buried, I don't want to be cremated, I want to be preserved using the techniques that I myself developed and be put on display in the museum.' So there's this skeleton with his brain, preserved by his own methods, sitting at his feet. Very weird." In theory, an overnight stay at a Korean temple sounds like the perfect activity for anyone struggling to escape the pressures of modern life. You'll meditate, you'll learn about Buddhism, you'll go vegetarian. Concerns and cares will slip away as you drift into a blissful state of conscious awareness. Unfortunately, that's not what it's like. I signed up for one of these sleepovers through a program called Templestay. Created in 2002 by the Jogye Order of Korean Buddhism -- the largest Buddhist order in Korea -- the Templestay program aims to allow visitors to "sample ordained lifestyle and experience the mental training and cultural experience of Korea's ancient Buddhist tradition." In other words, it's a chance to test-drive life as a monk. The meditation center I visited, about two hours from Seoul on Ganghwa Island, seemed like the sort of place that could inspire calm. The grounds are nestled between rice paddies and a leafy forest, and the center's brightly painted temple sits several stone steps up from a gentle brook and a small pond stocked with lotus flowers and koi. When my friend and I arrived -- several hours late, thanks to trouble reading the bus schedule -- the Templestay coordinator introduced herself in fluent English and led us to the room where we'd be staying. It was empty except for sleeping pads, blankets, and small pillows stuffed with plastic beads. After we'd dropped off our bags, she handed us our clothes for the weekend: two identical extra-large sets of baggy gray pants and vests, along with sun hats and blue plastic slippers. We looked like we'd stepped out of a propaganda poster for Maoist China. I'd assumed that most temple life involved sitting still and cultivating enlightenment, but instead our first activity was community work time. Clad in our Mao suits, we followed the coordinator to the garden, where eight other Templestay guests squatted between raised rows of dirt, piles of potatoes scattered around them. They gave us hostile glances as we approached -- thanks to our late arrival, they'd been forced to harvest potatoes for three hours in eighty-degree heat. I couldn't blame them for their animosity; if I'd been digging in the dirt while some assholes took the slow route to Ganghwa Island, I'd be pretty pissed off too. But such negativity seemed to go against the spirit of the retreat. I adjusted my sun hat and joined them in the field. After we'd assumed our squatting positions, the coordinator explained that we were supposed to sort the potatoes into piles of small, medium, and large -- and then left without demonstrating what the Buddhist definition of "small" was. After a half hour spent tossing any potato smaller than a golf ball into a nearby box, I looked up to find a monk standing above me, examining my work. I smiled. Expressionless, he picked up my box and emptied it onto the ground. It was time for meditation. Once we'd learned the correct way to arrange our shoes outside the temple door, the Templestay coordinator demonstrated how to prostrate according to the Korean Buddhist tradition: kneel down, touch your forehead to the floor, and rest your hands, palms upward, on the ground. Then do it all in reverse, like a movie playing backward. Repeat, ideally several hundred times. To me, the main value of the prostration practice was as a quadriceps exercise, but any improvement in the shape of my thighs was mitigated by the pain it caused in my arthritic knees. I had plenty of time to reflect on this discomfort when we followed our prostrations with a meditation: sitting in silence for a half hour, a slight breeze blowing through the open doors at our back as if beckoning us to escape. After a slow walking meditation through the temple grounds, a vegetarian dinner, calligraphy practice, and a discussion on meditation led by the temple's head monk (I spent most of the time killing mosquitoes and then feeling guilty about the karmic implications), we were sent back to our rooms to get rest before our 3:30 a.m. wake-up call. Lying on the floor, still dressed in my Mao suit, I fidgeted till 1:30. Two hours later, the sound of the mokt'ak -- a wooden percussion instrument played every morning to start the temple's day -- jolted me awake. I pulled myself up from my floor mat and stumbled through the predawn darkness to the temple, where pink lotus lanterns illuminated a small group of people inside, creating the kind of picture you would send home to friends to make them feel jealous about the exotic experiences you had while on vacation. There is a difference, however, between postcards and reality. For example, no one sends postcards at 3:30 in the morning. Nor do most people's vacation plans involve getting out of bed in the middle of the night to sit for a half hour in silence with their eyes closed. I watched through cracked eyelids as the Templestay coordinator repeatedly jerked herself awake just before tipping over, like a commuter on an early-morning subway train. I was close to succumbing to the same fate myself when I noticed something that kept me awake: a gigantic beetle crawling on a lotus lantern hanging above my head. This beetle was easily the size of a large fig; having it fall on my head would have been the equivalent of being smacked by a mouse. I began to focus my attention entirely on the beetle, sending prayers into the ether for its secure footing. My prayers worked -- the beetle remained aloft, and we were eventually allowed to go back outside. After sneaking a cup of instant coffee with a Venezuelan couple, I pulled myself through another walking meditation and followed the other participants to the main room for a Buddhist meal ceremony. A highly choreographed process of place-setting, serving, and eating, it included a final inspection by a head monk to see if our bowls were clean. "You do not want to disappoint him," said the coordinator. "Doing so would reflect poorly." She then walked us through what would take place during the meal ceremony, including a final cleansing: we were to take a piece of pickled radish and use it to swab our dishes. This caught the attention of a young Canadian woman. "I'm sorry to interrupt," she said. "But how is wiping my bowl with a radish going to make it clean? What about germs?" "We fill the bowls with very hot water," said the coordinator, sidestepping the question. "So when you use the radish, the bowl is already very clean." "Is it, like, a hygienic radish?" asked the Canadian woman. "Yes," said the coordinator. "It is a hygienic radish." Things went downhill from there. Exhausted and cranky, one by one we began refusing to play monk. If one of the whole points of Buddhism was to cultivate acceptance, why, I asked, did we have to go through such an elaborate meal ceremony? The Venezuelan couple went a step further: they left. Wishing that we had the same kind of courage, my friend and I instead counted down the hours until we returned to Seoul, and upon arrival treated ourselves to a bottle of wine. Several days later, the Templestay coordinator e-mailed the weekend's participants and invited us to a workshop to perform three thousand prostrations to "inspire yourself into practice." The idea sounded horrifying, but it reminded me how difficult it would be to live like a monk. Which, as the coordinator suggested, may have been the point. 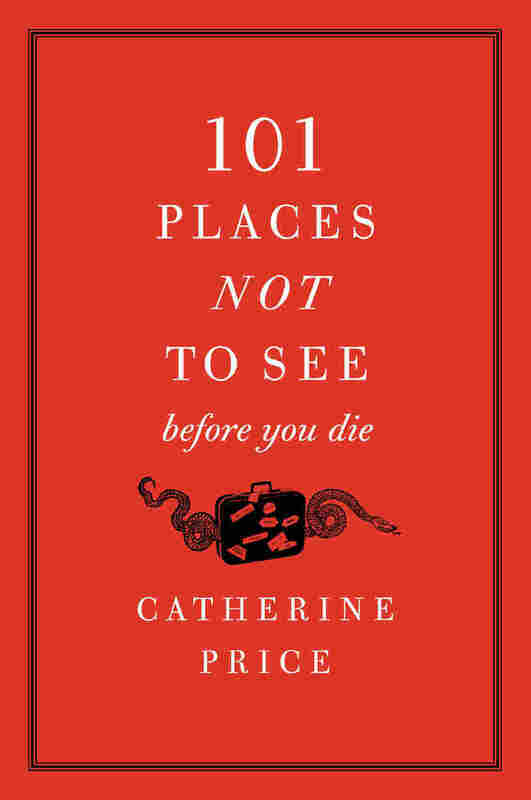 Excerpted from 101 Places Not To See Before You Die by Catherine Price. Copyright 2010 by Catherine Price. Excerpted by permission of Harper Paperbacks.